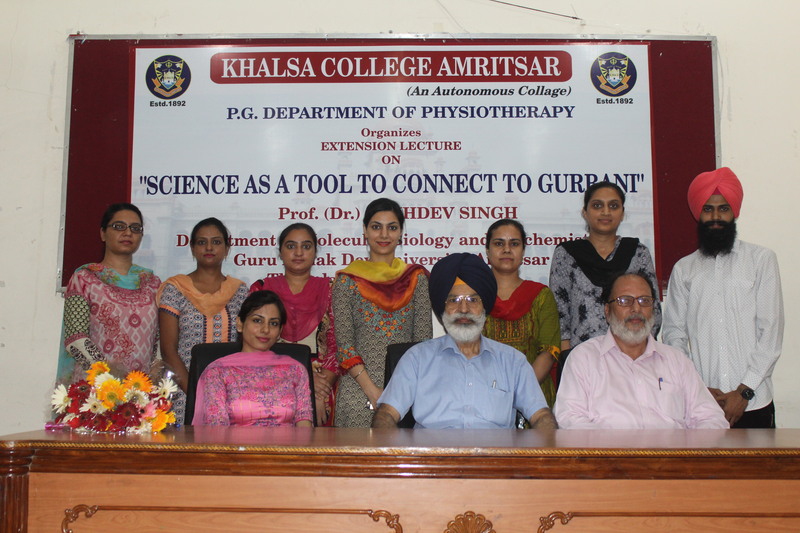 The department of Physiotherapy, Khalsa College, Amritsar organized an ‘Extension Lecture’ on the concept of “Science as a Tool to Connect to Gurbani”. The lecture began with the addressing note of Principal Dr. Mehal Singh. 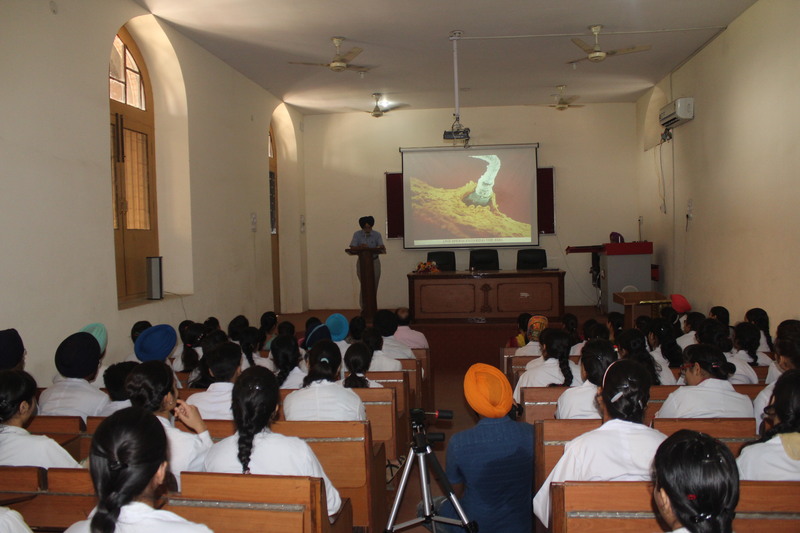 Prof. (Mrs.) Navneen Bawa, OSD, welcomed the guest speaker for the lecture Dr. Sukhdev Singh, Head, Department of Molecular Biology and Biochemistry, GNDU, Amritsar. The main idea of the extension lecture was to remind the students to turn to priceless treasure we have in Shri Guru Granth Sahib Ji for the inspiration in their lives. He also discussed the different theories of science and compared these with gospel truths given in Shri Guru Granth Sahib ji along with precise examples from various verses which provide guidelines for future research by scientists and thinking process for philosophers. In brief he explained different phenomenon by taking the example of scientifically proven facts from Guru Granth Sahib Ji on how the nature works to protect the fetus inside the mother’s womb and how the fetus sustains in the hostile environments in human as well as other species. In the end, he concluded that Shri Guru Granth Sahib Ji is a repertoire of the recorded revelations of the Gurus and Saints which can be taken as gospel truth for the present conduct and future guidance from various comparative studies conducted in the past. It was found that Science has come to the conclusions very close or almost the same as the ones which the gurus and saints have already discussed in the scripture. 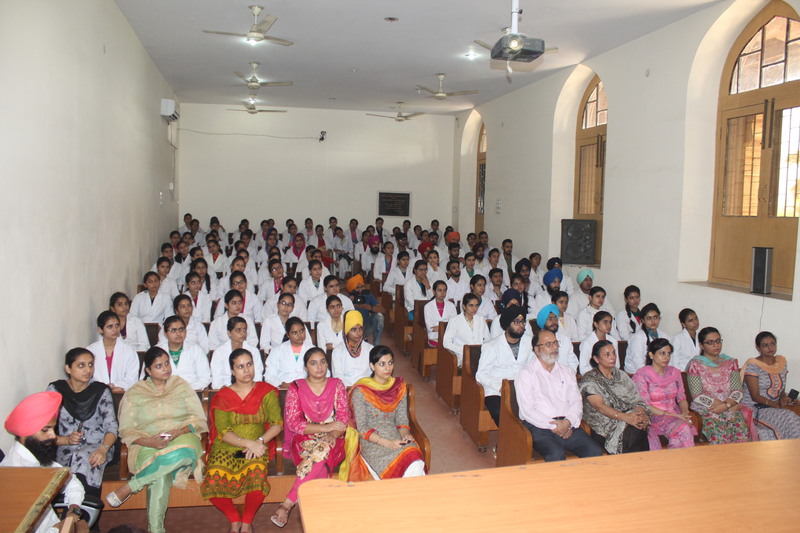 Dr. Davinder Kaur Dhillon, Head of Physiotherapy Department thanked Dr. Sukhdev Singh for enlightening the students by connecting Gurbani with science and said that science has a lot to take from it for future guidance. The staff and the students of the department took this lecture as an inspiration for their lives.